The southernmost point of the continental United States, Key West is a breathtaking coastal destination edged with emerald-blue waters, lively beaches and a living coral reef. 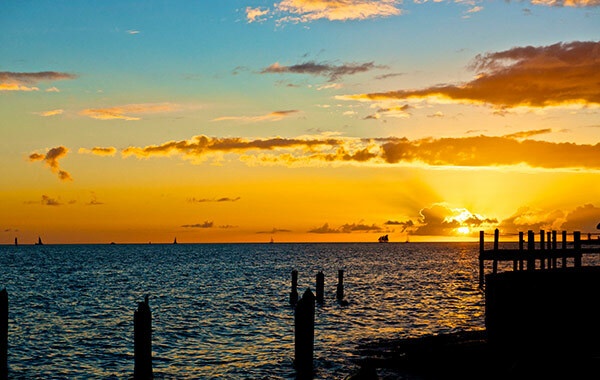 From the rocky shores of Fort Zackary Taylor State Park to the golden sands of Smathers Beach, Key West offers many idyllic beaches for swimming, snorkeling, diving, jet skiing, parasailing, fishing, picnicking, sunset watching, and soaking up rays. And if you like your sand surrounded by tropical fairways, tee off at the spectacular Key West Golf Club, the only Caribbean golf course in the US. Grab your shades and your clubs and come play like a local. 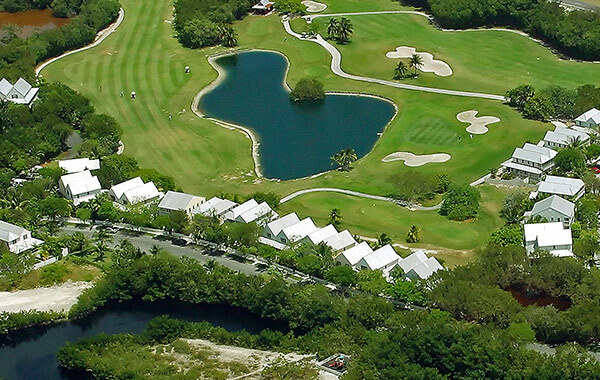 This 18-hole, Rees Jones masterpiece offers 200 acres of scenic Key West landscapes and a challenging golf experience for players of every skill level. The 6,500-yard course is known for its beautiful fairways, lush greens and notorious "Mangrove Hole" that plays over the dense tropical mangroves. The club also features a driving range, practice facilities, a pro shop, clubhouse, and professional instruction. Spend the day at one of most beautiful natural beaches in Key West. 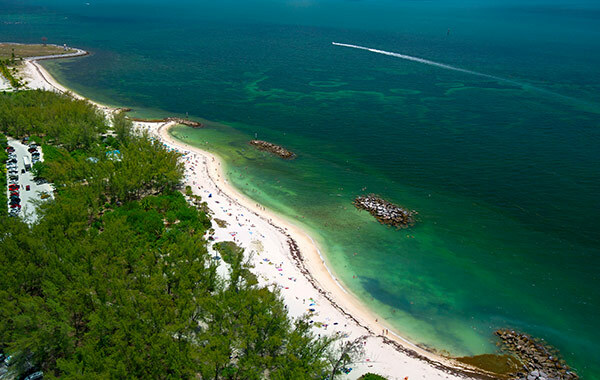 Fort Zachary Taylor is a rocky, 87-acre state park with a sand beach and a pre-Civil War Fort. A mix of sand and coral rock, the beach is a wonderful spot for swimming along three coves, sunbathing, snorkeling and watching sunsets. Snorkelers can explore the rock-pile barriers just offshore for tropical fish. The park offers a food and drink kiosk, chair rentals, tables and BBQs. Bicycles are the preferred way to get to Ft. Zach. Located along the southern edge of Key West, Higg's Beach is a wide sandy beach with a long wooden pier. 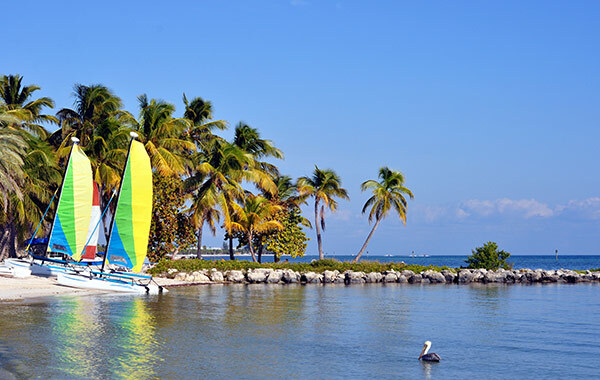 As the second largest beach in Key West, Higgs offers swimming areas, bike paths, covered picnic tables, a pavilion, a playground, chair and water sports rentals, rafts, and Civil War era fort. Check out Saturday Yoga on the Beach, and a beachfront restaurant with outdoor tables facing the sand. 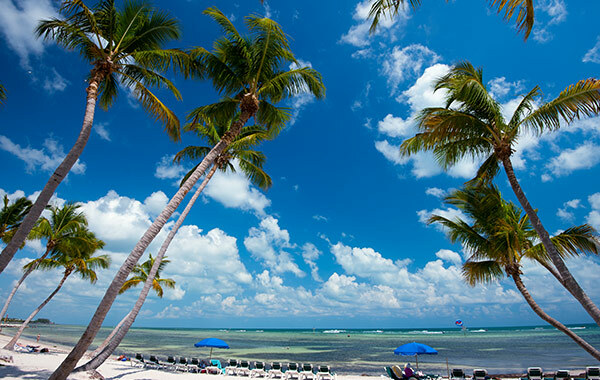 Stretching along South Roosevelt Boulevard's southern shore for two miles, Smathers Beach is Key West's longest beach. The sandy beach on a shallow reef is an idyllic spot for swimming, sunning, jet skiing, parasailing, windsurfing, and snorkeling. The beach offers food trucks, chair rentals, bike paths, picnic tables, volleyball nets, and water sport rentals for windsurfing, kayaking, rafting, and parasailing. Step across the dune onto the sidewalk for an Italian ice or a hot dog. 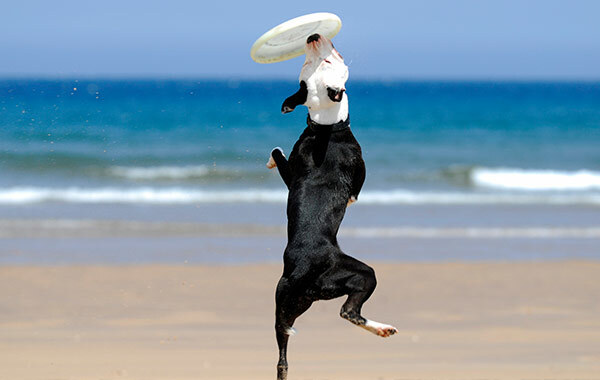 Located next to Louie's Backyard (at Vernon and Waddell), Dog Beach is a canine playground and one of the few beaches in Key West that dogs are allowed. The rocky beach is a wonderful spot for playing with your pooch in the ocean, where the sand is soft and the waves are very gentle. 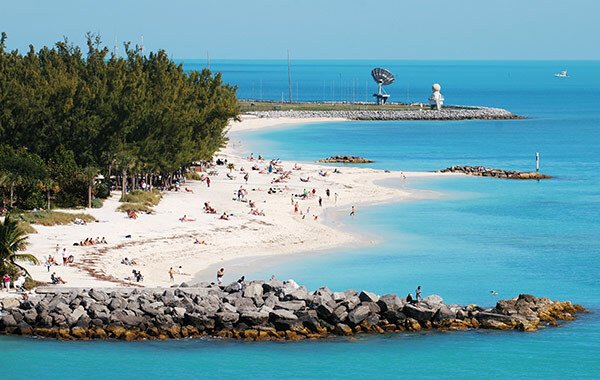 Situated adjacent to Fort Zachary Taylor State Park beach, this popular spot offers plenty of sand to lounge on, covered picnic areas, a playground, grassy areas, a snack bar, showers, and fabulous sunset views. Located at the south end of Duval Street in the heart of Old Key West, South Beach is a small sandy strand with a shallow cove, a concrete pier and picnic tables. Edging the Atlantic Ocean, South Beach is a popular hangout with the locals and great place to swim, catch some rays and grab a drink and food at the beachfront café.